In today's market, when you look at products on the shelves, there's a high probability that you are looking at a PSL or Pressure Sensitive Label. These types of labels are highly versatile and can be seen on nearly any product in any industry. 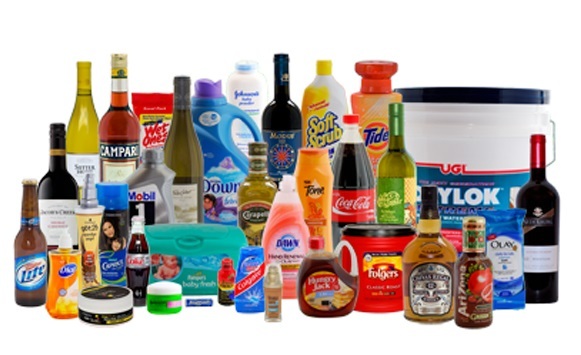 Pressure sensitive labels have the largest market share in the labeling industry, and brands are always using them to create labels cost-efficiently for products that have no need to expand advertising shelf space. Pressure sensitive labels are basically high-tech stickers that are applied to containers that use paper, film, or foil as the primary label materials. These types of labels have the ability to be coated with a large variety of inks that don’t require heat, solvent or water to apply the label. Pressure sensitive labeling techniques at Verst Logistics Packaging involve using machine-automated equipment that uniformly and accurately apply the labels while handling large run volumes. Pressure sensitive labels are common in many industries and vary between a range of products. If you don't see your industry listed or are looking for years of pressure sensitive labeling experience, you can trust the experts at Verst Logistics Packaging. Pressure sensitive labels are probably the most straightforward and simple labeling solution since they do not require heat, solvent or water to adhere to surfaces. These types of labels can be easily applied to many different types of container surfaces, bottles or other packaging and used as a multipurpose solution for many types of products and finishes. Depending on the use of your product, these types of labels can be permanent or temporary. Today, there exists high-performance pressure sensitive label adhesives and heavy duty options that can withstand very hot and cold temperatures as well as bulky labels. Pressure sensitive labels provide your business with the flexibility to deliver value with your custom labels.